The Academy Museum which is set to launch in Autumn 2019 will be the go-to institution dedicated to the art and science of film. 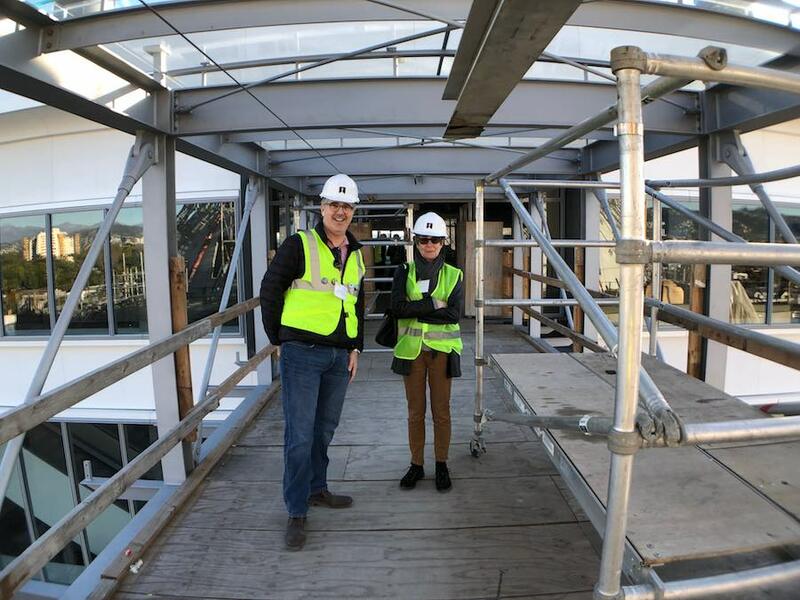 This spectacular, innovative $388m structure was designed by the internationally acclaimed Pritzker Prize-winning architect Renzo Piano (The Shard, London, Pompidou Centre Paris). Piano, Born 1937, has combined an Art Deco department store (May & Company (1939) with a state of the art theatre that looks like a 1950s SiFi interpretation of a spacecraft. 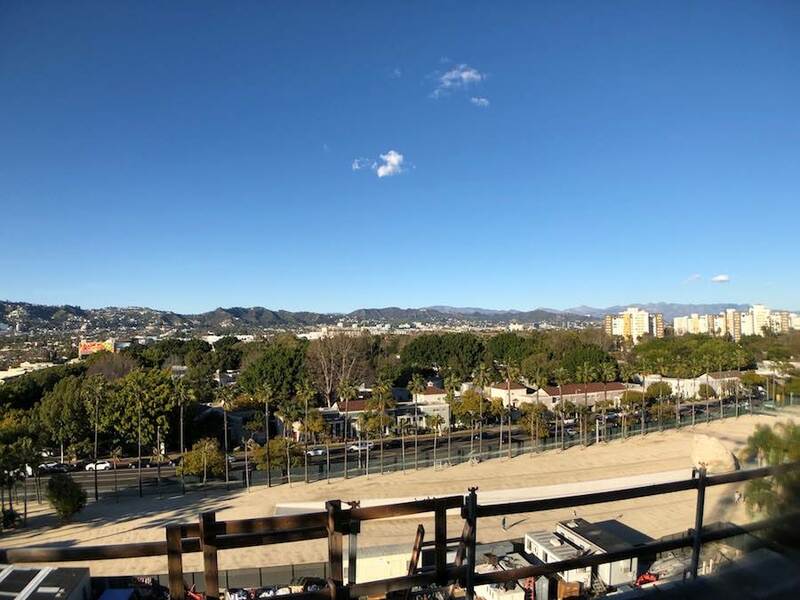 High above Wilshire Boulevard and Fairfax Avenue, Artlyst got a hard hat tour and can report a first-hand account of our experience. The two buildings offer 300,000 square feet of usable space for exhibitions, cinema experiences, lectures and educational areas. 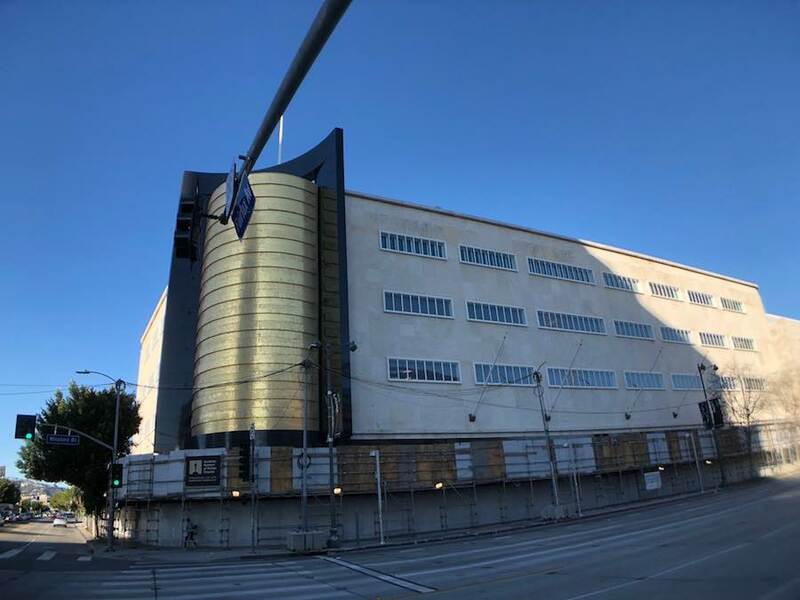 The six-story Saban building (made possible by a $50M gift from Cheryl and Haim Saban) is a designated Los Angeles historic-cultural monument and will feature more than 50,000 square feet of galleries, education studio, a 288-seat theatre, a restaurant and café, a store, and public event spaces. The original May & Co building is one of the finest examples of Machine Age Modernist architecture in LA. With help from the vision of Renzo Piano, the character of the old survives with a 21st-century twist. The success of this magnificent structure derives from the melding of styles, connecting them with glass bridges plus stripping down the walls to the brutalist structure which lay beneath the plaster walls of the 1930’s building. 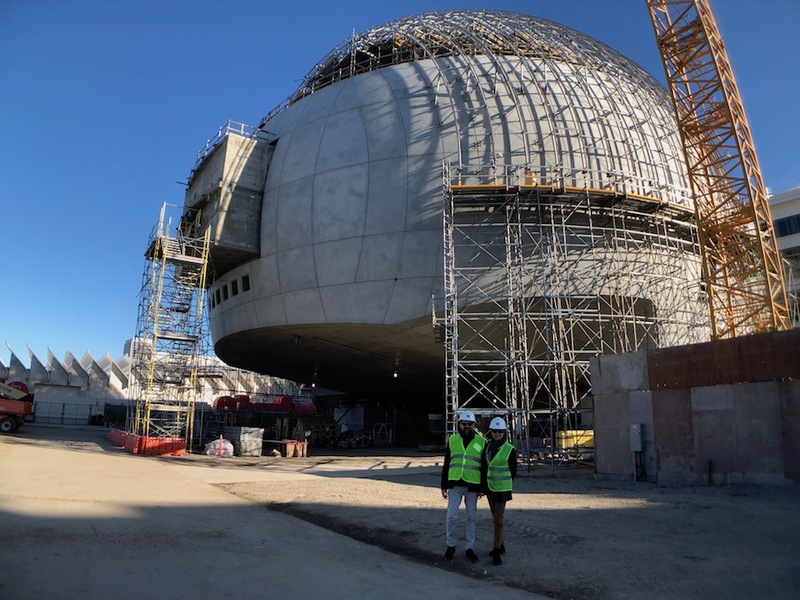 The globe-shaped addition referred to as ‘The Sphere’ will include a 1,000-seat theatre realised by a donation from the producer, David Geffen. Theaterand will host a range of performances, screenings, premieres, and events. On its top level, an expansive terrace gifted by the Dolby Family will afford stunning views of the Hollywood hills. 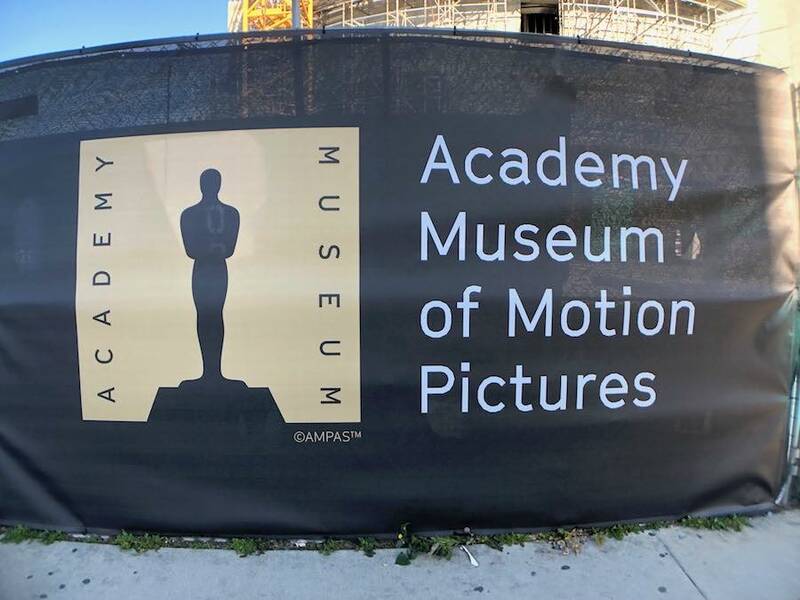 Located on Wilshire and Fairfax in Los Angeles, next to LACMA (Los Angeles County Museum of Art) the Academy Museum will enable the creation of a museum quadrangle which will undoubtedly become the most popular tourist attraction in the city. The new museum will be simultaneously immersive, experimental, educational, and entertaining. More than a museum, this dynamic film centre will offer unparalleled experiences and insights into movies and moviemaking. The gallery spaces will house an extensive collection of Hollywood Golden Era, to the present, costumes, props and set design. It will even be possible to see the ‘Ruby Slippers’ from the 1939 film the Wizzard Of Oz. Additionally, exhibitions will include the Making Of The Wizard of Oz, featuring elements that contributed to the creation of this iconic film plus a history of the Academy Awards, and an Oscars experience. One of a kind objects from the Academy’s collection, such as a backdrop from Singin’ in the Rain (1952), the doors to Rick’s Café Américain from Casablanca (1942), and the typewriter used to write Alfred Hitchcock’s Psycho (1960), as well as familiar faces and scenes from the movies themselves will bring to life the myriad people and departments that came together to create studio movies of the time. Visitors will journey through the studio to explore the artistry and also the challenges of Hollywood during its “golden age.” This gallery also highlights many of the era’s most unforgettable stars, from the dancing talents of Fred Astaire, the Nicholas Brothers, and Rita Moreno to the dramatic presence of Humphrey Bogart, Gregory Peck, and Sidney Poitier, and icons of the screen like Greta Garbo, Dolores del Rio, and Marilyn Monroe. The Museum will open with a Hayao Miyazaki, a Japanese animator, filmmaker, screenwriter, cartoonist, author, and manga artist who has attained international acclaim as a masterful storyteller and as a maker of anime feature films and is widely regarded as one of the greatest animation filmmakers. Following Miyazaki, the Academy Museum will present Regeneration: Black Cinema 1900-1970 in Fall 2020. Regeneration will explore the visual culture of Black cinema in its manifold expressions from its early days to just beyond the Civil Rights movement. Co-curated by Doris Berger and Rhea Combs, Supervisory Curator of Photography and Film at the Smithsonian’s National Museum of African American History and Culture (NMAAHC), it will be the first exhibition of its kind—a research-driven, in-depth look at Black participation in American filmmaking. In addition to offering a critical exploration of Hollywood productions, Regeneration will highlight the work of independent African-American filmmakers and create dialogues with visual artists. The exhibition’s goal is to redefine American film history as it elevates this under-represented aspect of artistic production and presents a more inclusive story. Regeneration is the proud recipient of the Sotheby’s Prize. The Sotheby’s Prize is an annual award that supports and encourages museums to break new ground. The grant aims to recognise curatorial excellence and to facilitate exhibitions that explore overlooked or under-represented areas of art history. The Sotheby’s Prize is awarded by a jury comprising Sir Nicholas Serota, Donna De Salvo, Okwui Enwezor, Connie Butler, Emilie Gordenker, and chaired by Allan Schwartzman.